Throughout our lives, our genes are affected by the way we live. Diet, exercise, age, and diseases create imprints that are stored within the methylome. Until a few years ago, researchers had analyzed only 1.5% of the methylome, which plays a significant role in whether genes are activated or inactivated in our cells. Using whole-genome bisulfite sequencing, a technique designed to specifically determine the methylation patterns of genes, the researchers mapped most the methylome for insulin-producing cells. The researchers are optimistic their work will have a significant impact for diabetes research. “It can be compared to the first comprehensive analysis of the entire genome—the genes of an individual,” noted senior study investigator Charlotte Ling, Ph.D., professor of diabetes research at Lund University. 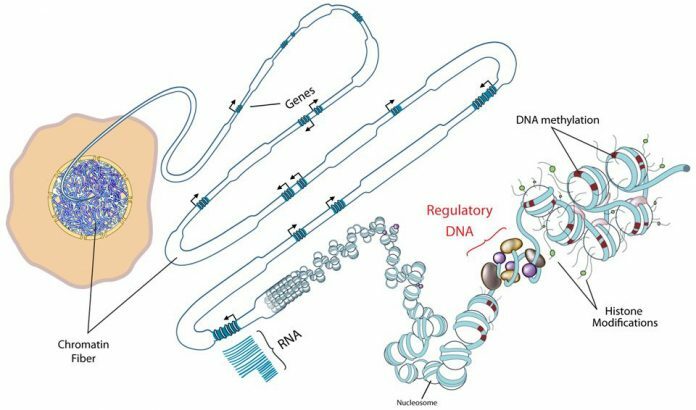 If the genome can be described as a map of all genes, then the methylome is a map of our epigenetics, which allows researchers to visualize where methyl groups are chemically attached to the DNA within the genes, thereby affecting their function. This new study covered 24 million locations on the DNA. The researchers analyzed cells from healthy individuals and others with type 2 diabetes and found 25,820 regions of the genome with altered DNA methylation. Several of these alterations can be linked to insulin production. In several previously established risk genes for type 2 diabetes, they found both an increased degree of methylation and reduced gene expression. The researchers then studied whether the differentially methylated genes in people with type 2 diabetes affected the production of insulin. “Because the insulin secretion deteriorated when we changed the expression of these genes in beta cells, we see a correlation between the amount of methylation and an impaired function of the pancreatic islets,” Dr. Ling remarked. The researchers found that the PDX1 gene in particular, which plays a key role when stem cells are converted into insulin-producing beta cells, stood out in their study. For instance, a rare form of diabetes, MODY4, is caused by a mutation in the PDX1 gene. In the current study, the researchers discovered that diabetes had a strong impact on the methylation of PDX1 in insulin-producing cells—reducing the gene’s activity, resulting in less insulin being released. Previous research has shown that rats exposed to poor nutrition during fetal development also experience epigenetic changes in the PDX1 gene found in insulin-producing cells, resulting in them later developing diabetes. “The study confirms our previous assumptions that epigenetic changes may contribute to the development of type 2 diabetes,” Dr. Ling concluded.